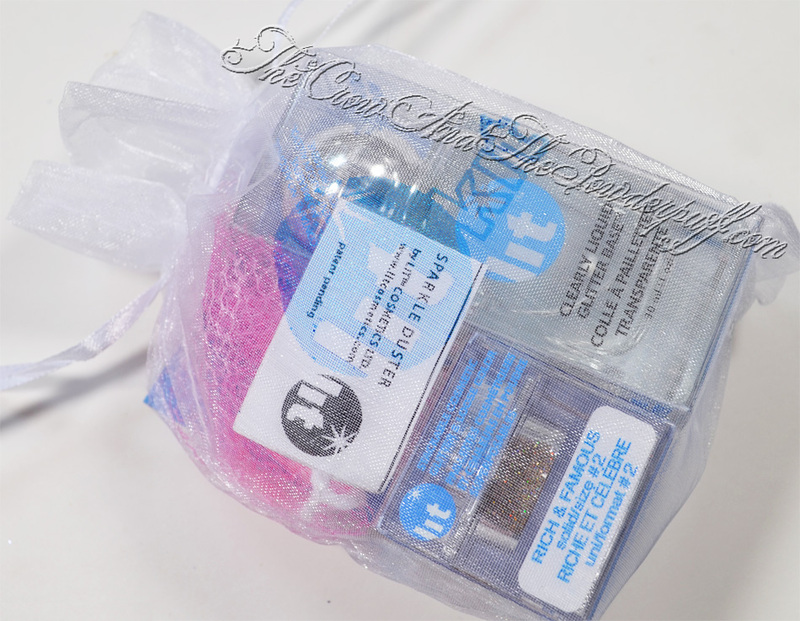 The Crow and the Powderpuff | A Creative Makeup & Beauty Blog: Lit Cosmetics - Review - Giveaway!!! A while back I ended up getting some Lit Cosmetics, I had placed an order but then sent a request to cancel it right away and even though they cancelled it somehow the order got shipped out anyway. I was surprised to find it on my steps and sent an e-mail right away to them to let them know, I got a quick response from Jodie who is the owner of the company letting me know to just keep it and enjoy. I was impressed by how quick, polite, and professional the response was. Since then I have used the glitters and glitter base in quite a few of my makeup looks. How do Lit Cosmetics Compliment Everyday Makeup Products? Lit Cosmetics is perfectly compatible with all other make-up brands whether it be eye shadows, eyeliners, glosses, lipsticks, lip tints, mascaras, blushes or bronzers. It can be used on it's own or as a cosmetic enhancer. Lit is the perfect addition to your makeup collection and promises to take your application experiences to exciting new heights. Lit glitter can also be used to enhance: hair, body, face, nail polish and tattoos. Sophistication” the smallest glitter cut. & Fancy Free” the most popular cut. most stores will not carry this size. 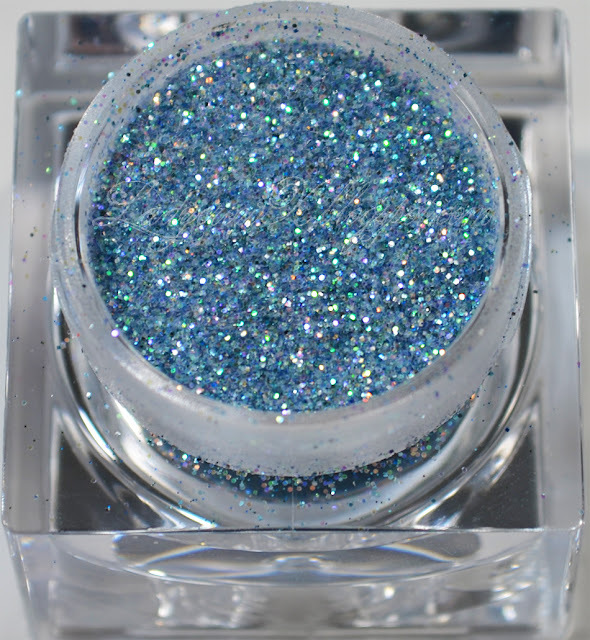 • Solids - pure glitter colour. are into shine and colour. Texture: Watery feeling but not runny. Packaging: Glass bottle with a screw off top. Thoughts: I really love this base, it doesn't irritate my eyes, it's very easy to work with. and it holds the glitter on really well. Another thing I love about Lit Cosmetics is the great customer service, the e-mails were promptly answered, and are very professional and polite. Cons: The only con I could find on this one is the packaging, I love the sturdiness of the jar but I would love if the bottle opening had a cap that had a dropper type stop on it. I find that things get in the jar very easily with the large opening, if it had a dropper cap it would allow for it to be tilted and used a drop at a time in turning making it more sanitary. Don't let this deter you on it though, it's worth getting. My Rating: 4.5 out of 5 Feathers! Texture: Varies with glitter size, grainy to chunky. Packaging: Square stackable jars (I believe these are gram jars). 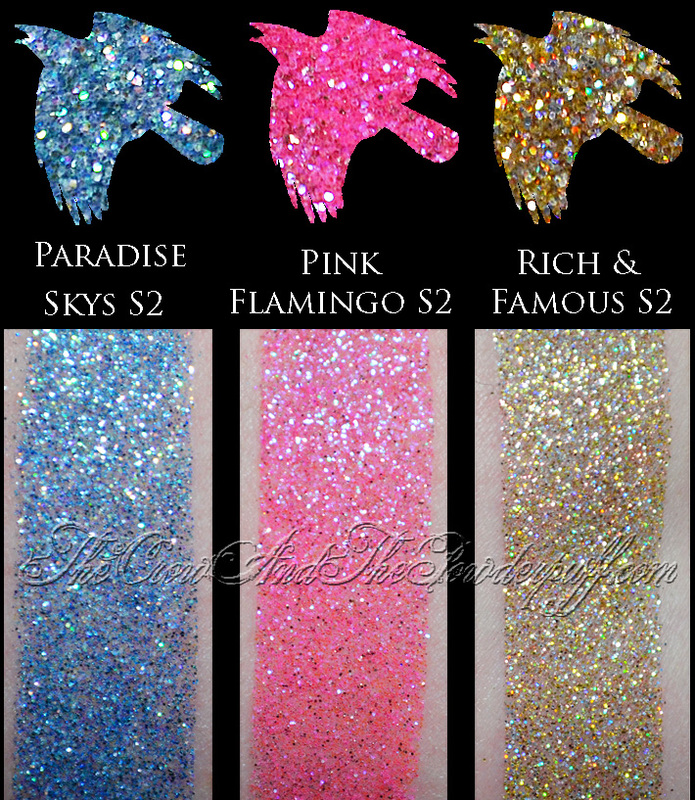 Thoughts: I love the variety of these glitters, there are so many colors to choose from and on top of the shades you have up to 4 different sizes to pick from as well. I like the packaging because I can leave them separate or connect the jars as stackables. Again I want to point out the great customer service of the brand. 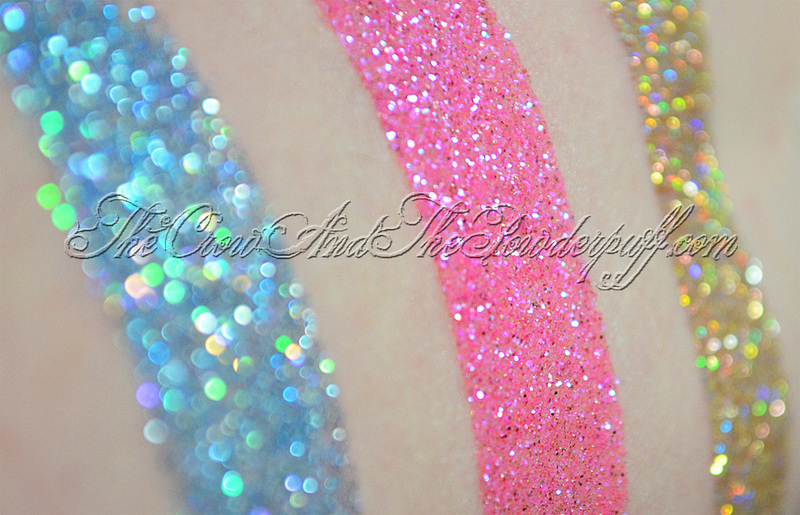 Cons: I personally don't find any cons with the glitters, some people might think the price is on the higher end. My thoughts on this though is for the amount of variety, sizes, and the great customer service it's definitely worth purchasing from Lit. I have placed another order yesterday already and look forward to swatching those when they arrive. My Ratings: 5 out of 5 Feathers! Are they Cruelty Free? Yes. The site catalog has the cruelty free logo and the owner has stated that they are cruelty free. 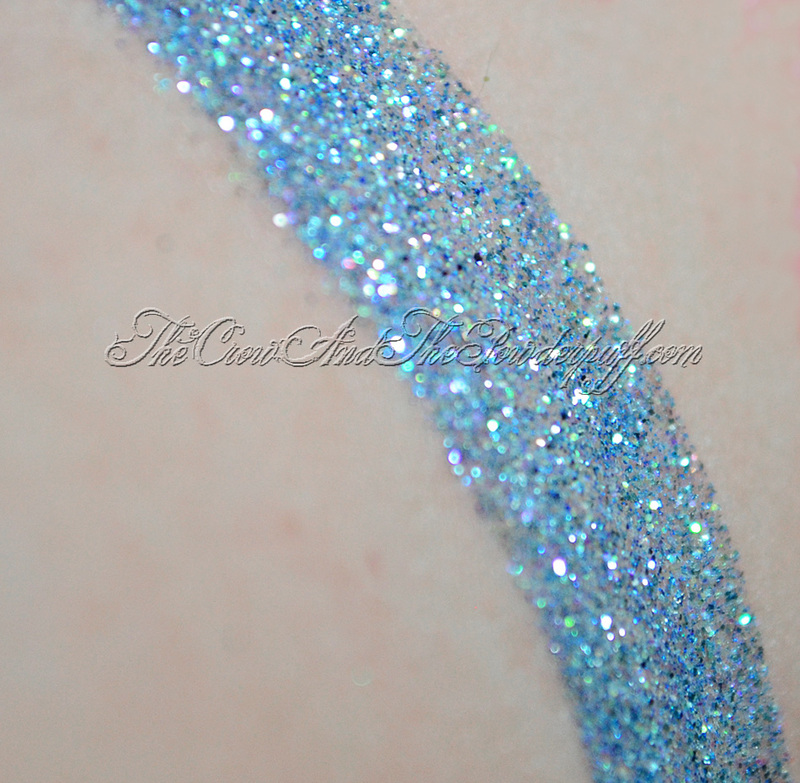 I really want to stress the importance of making sure you buy Cosmetic Grade Glitters! 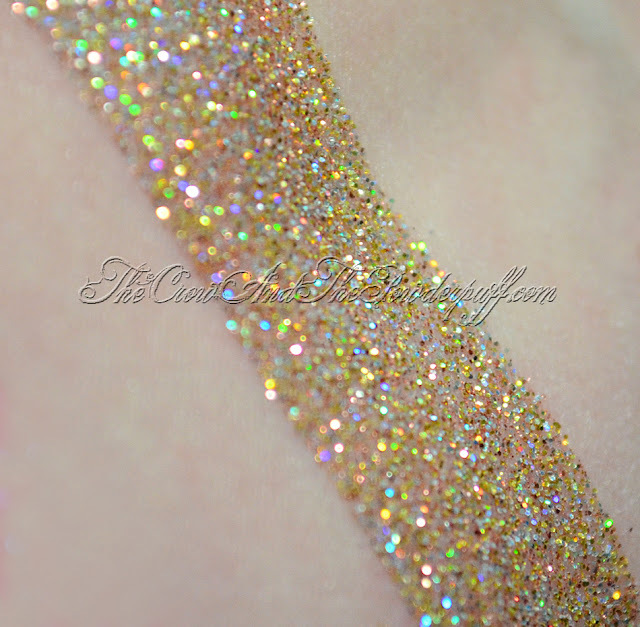 Do not confuse craft glitters or other kinds of glitter with Cosmetic Grade Glitters. 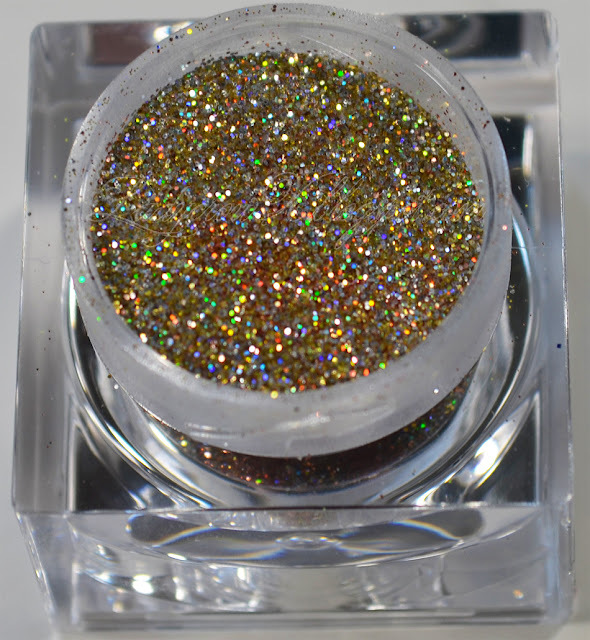 The difference is that non cosmetic grade glitters can scratch the cornea of the eye and do serious damage. So if you are using glitters for makeup purposes ensure you find the cosmetic grade! This giveaway is Open International as well. If an International winner wins they will be responsible for paying any additional customs charges on the prize package. Package is no longer my responsibility once it has been mailed. If the winner does not respond to my e-mails before package is sent regardless of if it is a question or not (I give at least a week or two to respond) I will not be sending it, if package does not arrive and is returned unless it was my own error I am not responsible (this does not include if you suddenly move and regret to inform me/forward your mail). A new prize winner will not be chosen during that giveaway if package had been sent and returned, it will be put towards a future giveaway. I spend my own money on these prizes and unless noted and I will not have it wasted by paying $5-13 on shipping and having it returned. I do enjoy giveaways for you guys but I also want people to understand I am not rich, this takes away from my own personal things at times. If you are under 18 you must have your parents permission to enter this/receive packages. The winner will be chosen via Rafflecopter. The winner will be notified via e-mail, you must respond within 48 hours of the e-mail or another winner will be chosen at. Once the winner is chosen there is no set time of delivery, it depends upon what is going on in my personal life. I will try to mail the package out right away but during busy times this may take longer, please remember this is a free item(s) that you are getting I am not obligated (unless it is a sponsored giveaway) to mail them out within a certain period of time. Do you own any Lit Cosmetics? What's your favorites? Disclaimer: I did not buy these, they were sent by mistake to me all opinions are my honest thoughts. 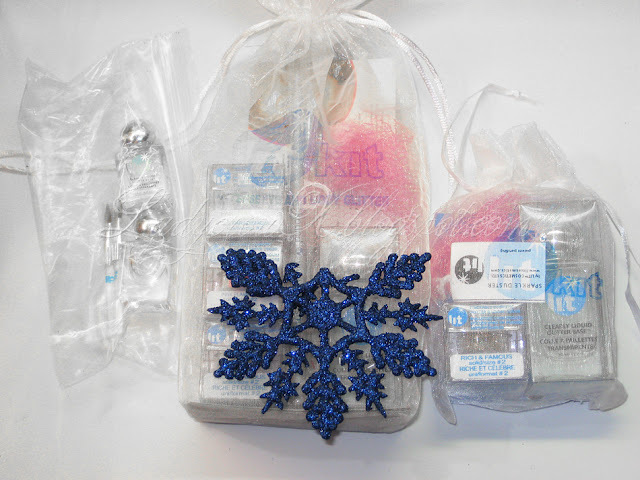 Prize was given courtesy of Lit Cosmetics for giveaway to my readers. Great post girl!!! I love these glitters so much and find them sooooo amazing and easy to use! My favorite Lit glitter I own is Peacock! Oh la la, those glitters really rock! I'd prob get one of the black light ones - I've yet to have one of these! I haven't ordered from them yet, but it's on my wishlist! 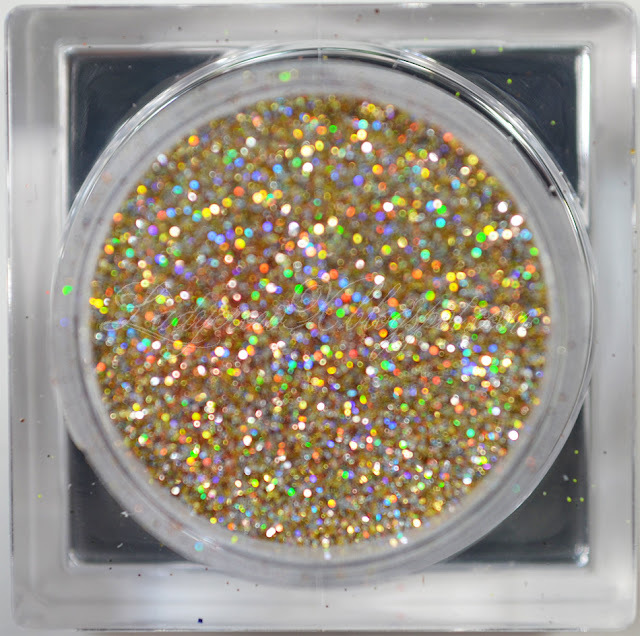 I really love gold and bronze colored glitters to enhance smokey eyes. 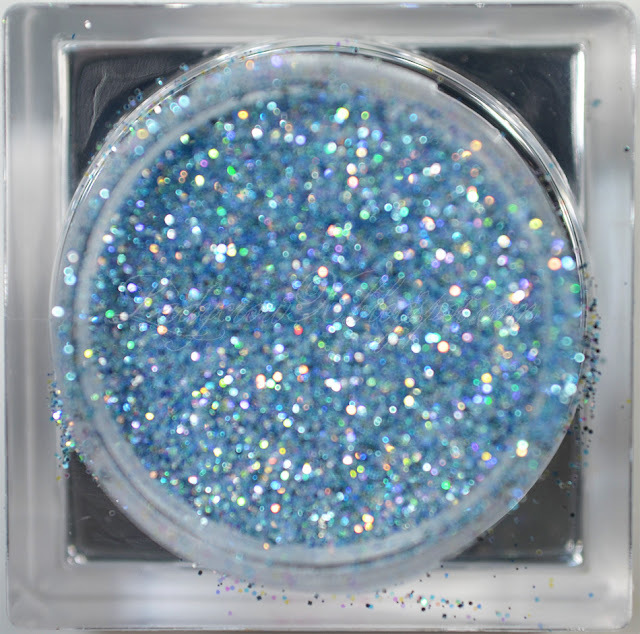 Dark glitters are also super pretty, so I think Soul sister would be my favorite. Been thinking about ordering from there for ages, but the wallet has put a stop to that.. So annoying! My first would also be Back in Black S1! I would love all the glitter ones! These look amazing! I would go for the Oceana Solid colour. I love how sparkly these are. Pink Flamingo looks amazing! I've also looked through some of their greens and blues and am blown away! Drool, they look amazing! 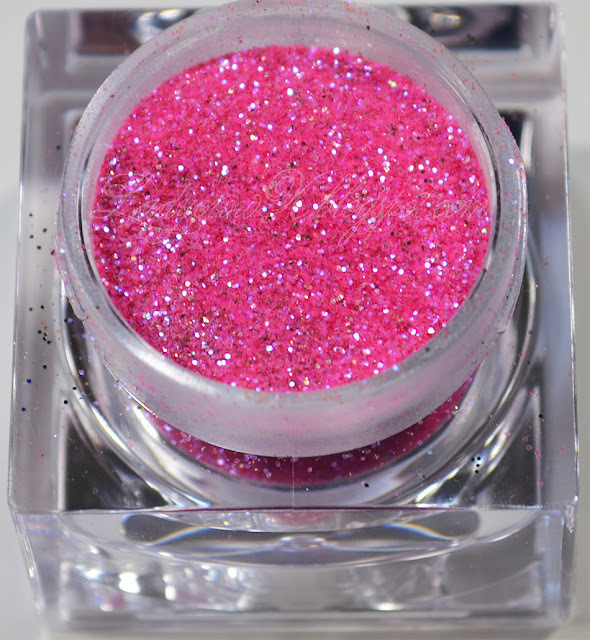 I love the way rich and famous is so holographic! I would go to Back in Black S1! Extremely tough choice, but I'd love to try the Black Magic Woman! I love all the colors but Back in Black is amazing! Thanks for the giveaway! I have never used them but I really want to try some glitters!!! •••••••••••••••••••••••••••••••••••••••••• I would try Fire Cracker S1! 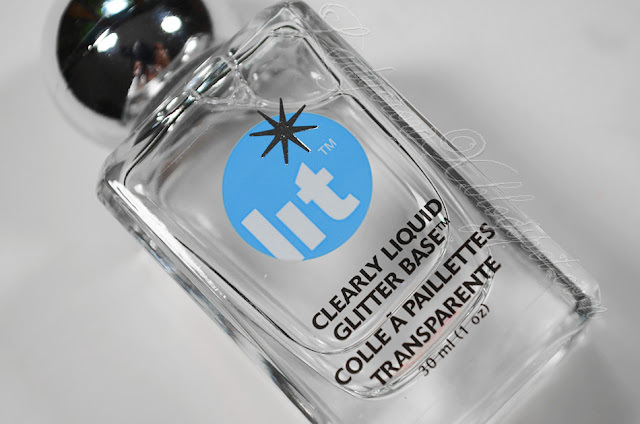 I have always wanted to try Lit glitters! I think Pink Flamingo looks amazing and I love anything pink so I would buy it in a heart beat! I definitely need Rich and Famous. It's beautiful! Now I regret only buying the base from Beautylish. I need to reconsider this decision lol. Rich and Famous for sure! 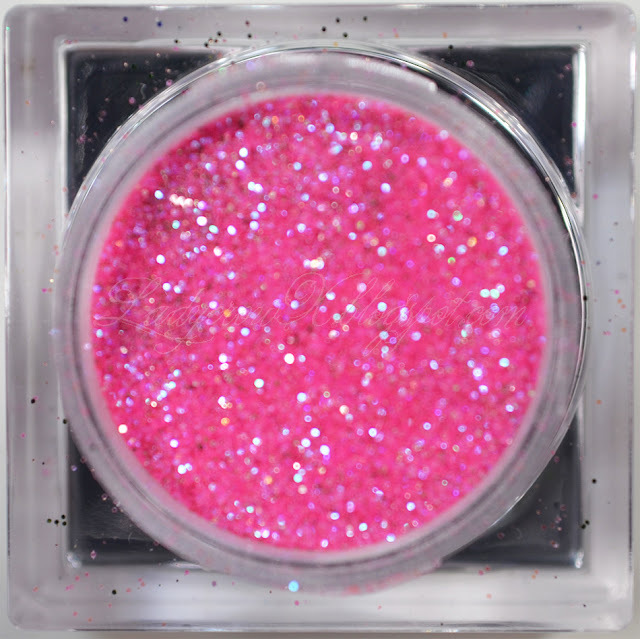 The glitter I would love to try first is the shade Rich and Famous!! !